DISNEY SING IT HIGH SCHOOL MUSICAL 3 SENIOR YEAR. NUOVO SIGILLATO. CORRIERE ESPRESSO. RICHIEDE KIT MICROFONI SINGSTAR-. oggetto 5 PS2 : DISNEY SING IT : HIGH SCHOOL MUSICAL 3 : SENIOR YEAR - Completo, ITA ! 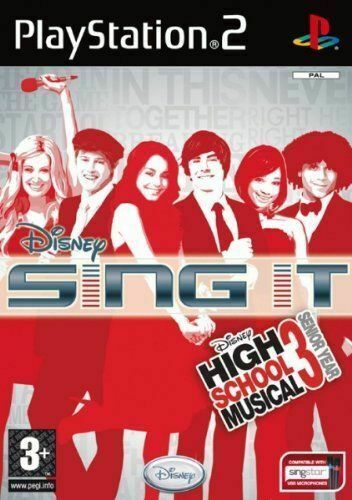 -PS2 : DISNEY SING IT : HIGH SCHOOL MUSICAL 3 : SENIOR YEAR - Completo, ITA !